RIAA forforstærker der byder på enestående ydelse til prisen. XPS-1 kan anvendes både med MM og MC pickupper. Do you have a large collection of vintage records? Or are you tempted by the ongoing vinyl revival? 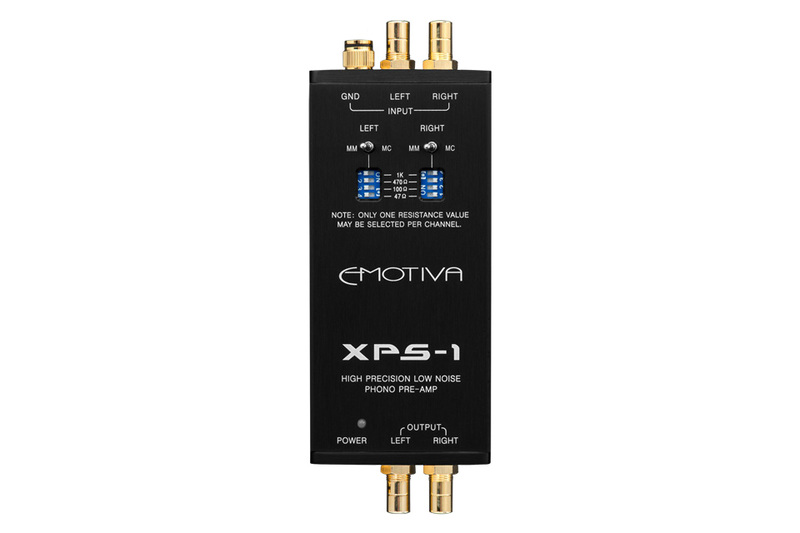 If so, the Emotiva XPS-1 high-performance phono preamp is exactly what you need to breathe new life into your analog media. 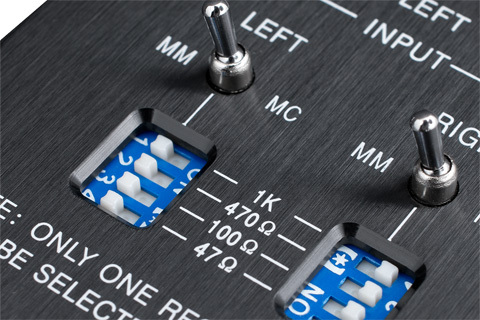 With high precision and low noise, the XPS-1 is perfect for connecting a turntable to any line stage, preamp, or other audio equipment with line-level RCA inputs. 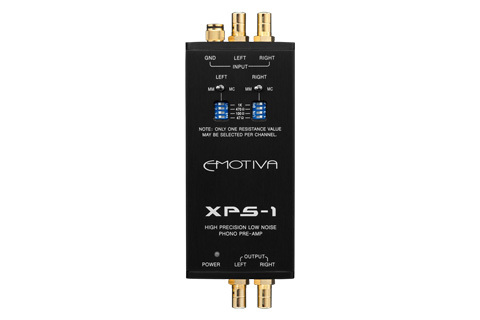 The XPS-1 takes its cues from Emotiva's precision line-level equipment, with high-quality components throughout the signal path for accurate RIAA equalization, extremely low noise for even low-output cartridges, and vanishingly low distortion. Special attention was paid to the low-noise power supplies; both the external highly regulated AC supply and the individual switching supplies within the XPS-1. Best of all, the XPS-1's performance doesn't come at a high price, and its small size makes it the ideal companion for your turntable, without sacrificing rack space. Have multiple turntables? Get an XPS-1 for each, and prepare yourself for sweeping vistas of beautiful analog sound—with 21st Century performance! - The new sound of vinyl: Emotiva XPS-1. • Combines superb analog sound quality with excellent technical performance. • Precise equalization to the standard RIAA curve (within +/- 0.25 dB). • Support for both Moving Magnet (MM) and Moving Coil (MC) cartridges. • User selectable termination impedance for Moving Coil cartridges. 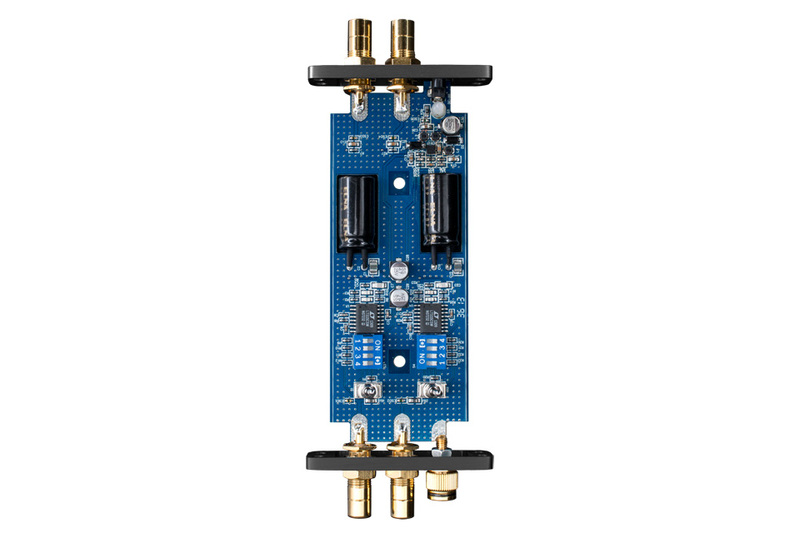 • Exceptional signal-to-noise ratio and very low distortion. • Sophisticated multi-stage power supply for superior noise performance. • All metal case for ruggedness and excellent immunity from noise and interference. • Convenient form factor for placement close to the turntable. • Gold plated solid brass input connectors, output connectors, and ground terminal. • Ideal for adding high-quality phono inputs to any stereo preamp or pre/pro. • Small and economical enough, so you can use one for each turntable if you own more than one.